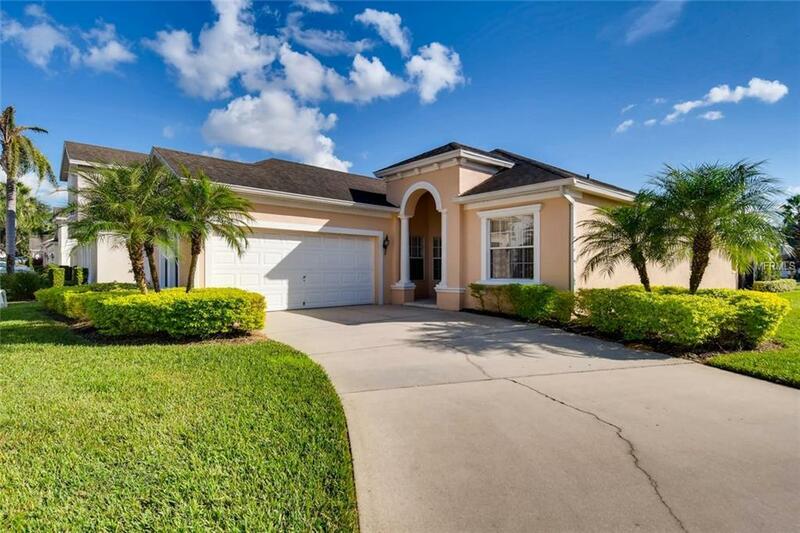 This 4 bed 3 bath pool home located on the desirable community of Calabay Parc and within easy reach of all of the Orlando attractions is the perfect property as an investment or primary residence. The current owner has had much enjoyment from the property and has bookings that can convey to the a new owner along with a fully operational bespoke website. As soon as you enter the home, it is evident that the property has been meticulously maintained and has been kept to a high standard for themselves and guests to enjoy. Just this year, the A/C and pool pump have been replaced along with a new heater in 2016, so a great benefit to a new owner, offering some peace of mind to possible future expenses. The home has a great floor plan offering spacious accommodation and well appointed furnishings to be included in the sale. Located on a corner LOT with mature landscaping surrounding the pool area, you can enjoy privacy whilst basking in the Florida sun and also there is a covered lanai area with an outside eating area for when you want to enjoy some alfresco dining. The property has two masters with private doors leading to the pool area and to the front of the property off the entrance hall is a passage leading to the guest bedrooms. The open plan living includes the family room, kitchen and breakfast area with access to the independent formal dining area. This property is truly a turnkey investment opportunity or would make wonderful family home, so schedule a viewing today a see this gem for yourself. Listing provided courtesy of Vue International Realty.